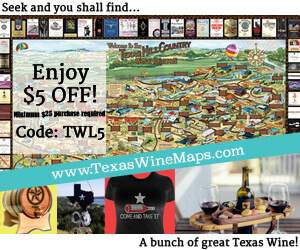 I attended the first day of the Texas Wine & Grape Growers Association (TWGGA) 2013 Grape Camp. 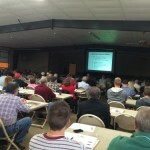 Grape Camp is a two day event with educational sessions for grape growers. 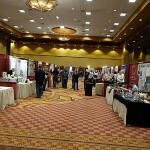 Also available are vendor exhibits with the focus on grape growing. 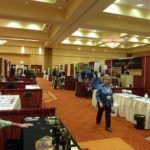 This year the first day was geared toward the new grape grower or people wanting to start growing grapes. 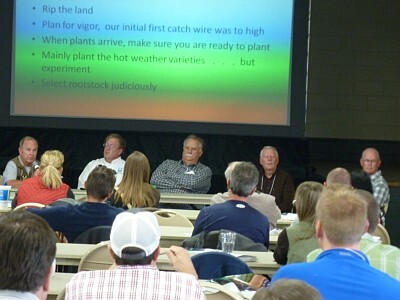 The second day included educational sessions leaning toward topics for experienced growers. One of the nice things about Grape Camp is being able to catch up again with old friends. Since day one was for new growers, it was nice to see very experienced growers present still taking in the educational seminars and enjoying the networking too. As one grower who sat next to me said, he may already know the topics presented to the new growers, but it is a nice refresher. 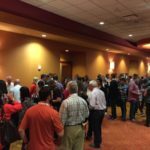 I was surprised how many people were present during the first day, especially if the content was primarily for new growers. At the beginning of the presentations, it was asked how many people were at Grape Camp for the first time. It was estimated about 75% of the hands went up. The next question was how many people were just starting a vineyard or were thinking about starting one. About the same number of hands went up! 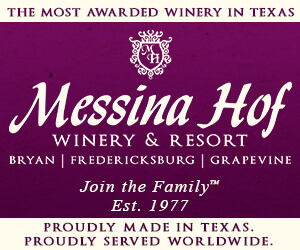 If the new vineyards start producing quality grapes for quality Texas wine, that will definitely help the Texas grape shortage. Another topic was “Irrigation in Vineyards” by Kris Nightengale of Jain Irrigation, Inc. We learned Texas is the third most irrigated state in the continental United States. Kris presented alternative irrigation methods like using white drip lines instead of black, submerged dual drip lines, frost protection, and vine cooling. Vine cooling can hold grapes up to three more weeks on the vine before harvesting. I heard later many of the experienced growers discussing some of these new techniques. Jim Kamas of Texas A&M AgriLife Extension, presented “Overview of Pierce’s Disease and Cotton Root Rot.” The insecticide imidacloprid is the best option for vineyards to prevent Pierce’s disease as it keeps glassy winged sharpshooters from staying on the leaves. Admire Pro is a popular name brand and there are now generic products available which are a little cheaper. The cheapest product to use costs about $34 an acre which admittedly is not that expensive to prevent the disease. 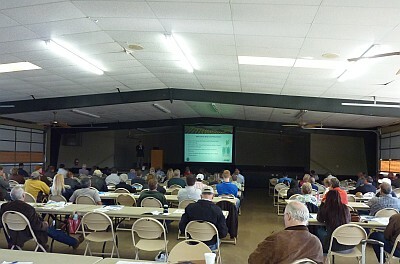 “Varieties, Clones, and Rootstocks” was presented by Andrew Labay, Texas A&M AgriLife Extension. Of course if you want a vineyard, you need to decide what to plant. The varieties to choose depend on a number of factors which need to be considered. Risks to consider are spring frost, fruit rot, and disease susceptibility. 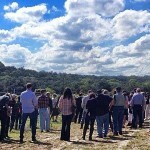 It was suggested to create relationships with wineries before you plant. Also talk with other nearby growers to see what they are growing which has been successful. 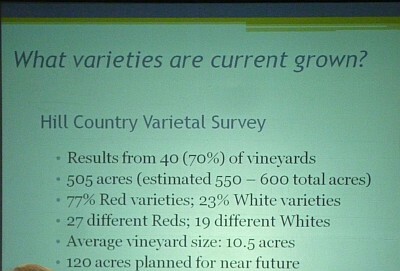 Mr. Labay showed slides of the top red and white varieties being grown in 40 vineyards in the Hill Country. 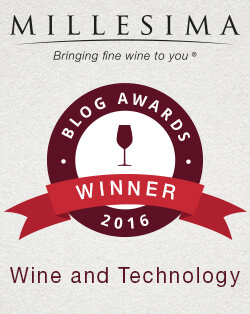 The top three red varieties are Cabernet Sauvignon, Merlot, and Tempranillo. The top white varieties are Chardonnay, Viognier, and Riesling. 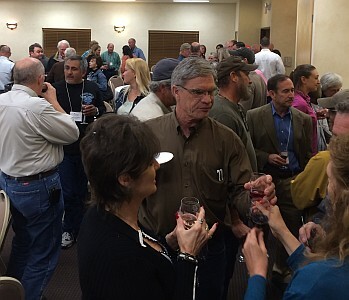 Now it was time to scare the new growers and I learned later in the evening that some growers were kind of hesitant now, but they understood they need to fully understand all the risks in growing a vineyard. The presentation was “Monitoring and Managing Pests, Diseases, and Nutrients in the Vineyard” by Fritz Westover of Westover Vineyard Advising. Possible pests which can affect the vineyard are the grape berry moth, grape cane borer, green June beetle, leafhoppers, and other minor pests. Diseases such as anthracnose, black rot, trunk diseases, downy mildew, phomopsis, and powdery mildew can also affect the vineyard. 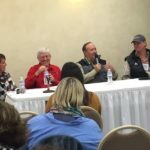 The seminars were running a little late but it was time for the Grower Panel Discussion which some people probably wish could have run a little longer. Five experienced growers gave their tips on growing a vineyard. Jerry Watson of Austin County Vineyards in the Gulf Coast. 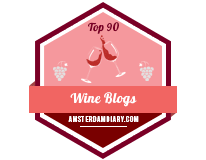 He explained what happens during the year with his three acre vineyard and offered his advice for new growers. Jackson Anderson of Square Cloud Winery in North Texas. He talked about his eight acre vineyard and said it costs $13,000-$14,000 an acre to plant a vineyard and that doesn’t count the land. One grower near me said elsewhere it can cost $18,000-$25,000 an acre. An important lesson Jackson learned was to be patient and have everything ready before you plant. 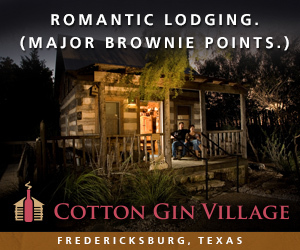 Gary Elliott of Driftwood Vineyards in the Hill Country. He said to seek advice from people in your local area. He first planted in 1998 and has 14 acres and three more will be planted in the spring. Bill Blackmon of William Chris Vineyards in the Hill Country. He like others stressed that the site location is very important. 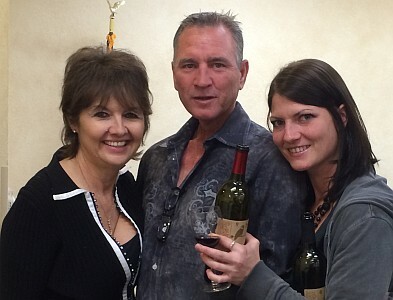 Bobby Cox of Bingham Family Vineyards in the High Plains. He thinks only 1% of Texas is possible for “commercial” grape growing. It sounds small but when compared to what California is growing, 1% would be three times what they have. The educational part of the day was done and it was now time for socializing and having dinner. Most people attended the wine and cheese reception followed by a BBQ dinner at the Inn on Baron’s Creek. 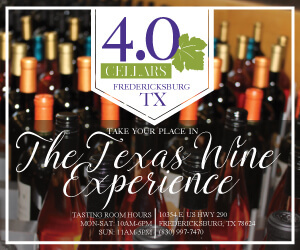 Most of the wine available was brought by those attending and it was a great chance to sample wine from wineries you haven’t had an opportunity to try. Of course the socializing aspect of the evening was great and it is always nice to put a face with names you may already know. 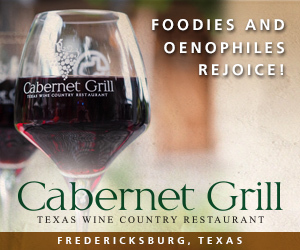 Put it in your calendar to attend next year’s Grape Camp, which if following precedence will be November, 2014, in Fredericksburg. 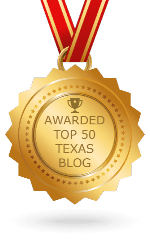 I always find your blogs so educational, well done,especially this yearly event!